Just 1.5 hours off the coast of Galway, Ireland is a collection of three islands that span the years and take visitors back to where life was simple, if rugged and harsh. The Aran Islands, Inishmore, Inishmaan and Inisheer, have become an increasingly popular day trip for visitors to the west coast of Ireland. Inishmore is the largest and most visited of the islands. The rugged landscape of sparse and grassy fields surrounded by stone walls is interwoven with quiet paved roads, perfect for cycling away the day. Bikes can be rented near the dock and while they are not shining examples of cycling engineering, they certainly do the job for a day's touring. Most roads stick to the edge of the small island (only 31sq/km) and take in a sweeping view of the encircling seas. Lucky visitors often see a show of seals on the shore and in the shallow waters near the land. 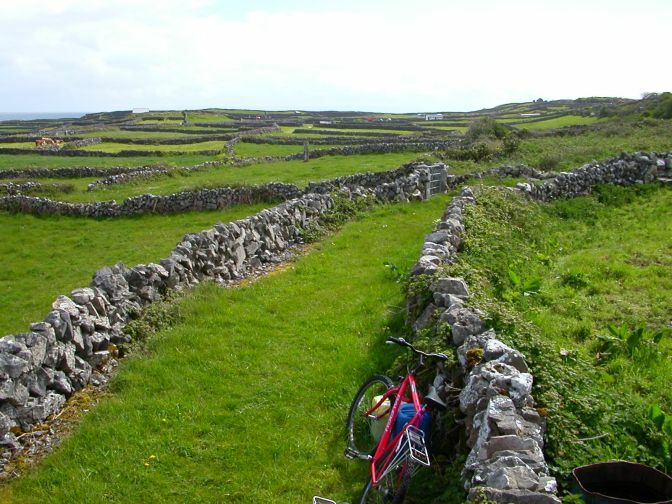 One of the most popular stops on the cycling route is Dún Aengus a large fort mounted on the precipitous cliff-edge of the Inishmore's west coast. The fort consists of four concentric semi-circles constructed from large stones, with the thickest point in some sections of the wall almost 4 meters wide. Many visitors tempt fate by perching themselves at the cliffs edge to take in the amazing vista from this historic site. The fort dates back to 1000BC and was largely a defensive position for the islanders. Parts of the construction have fallen into the sea, but its distinctive design still remains, and is best viewed from an aerial view. 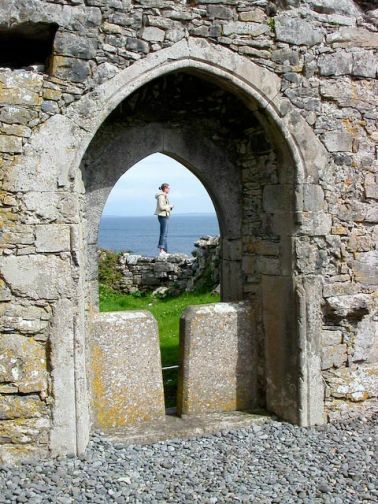 The Aran Islands are well worth a visit for any trip to the west coast of Ireland or Galway.